This was supposed to be a week of brilliant red bell peppers here on Main Street, a week of shiny patent-leather red vegetables and a simple recipe to make and to love. That, however, was not meant to be. Rita over at Bill’s Farm Market saw me hanging around the peppers looking lost amid the purples and greens. No home-grown reds? I asked. No honey, she said. When? I asked. Well I’ll have to check with Bill on that, she said, and off she went. She came back to say Bill was having his lunch over at the farm house. I kept loitering around her cash register, not to be pushy because in fact I was off the peppers and now thinking thinking thinking about all of the other wonderful things we could make here instead, and then she disappeared again. This time Rita interrupted Bill’s lunch to ask him about the peppers. Mind you there wasn’t even a hint of being put out by my question, and a terrific willingness to go talk with Bill (and I felt bad interrupting his lunch, since no doubt he earned that lunch heartily) and come back with an answer. They’re motto isn’t “fresh produce, friendly people” for nothing. Red bell peppers are not in season here for a good six weeks yet. The green ones have to turn, and then we’ll have reds. Bill came out when he was done eating (what do you think he had for lunch in that farmhouse of his? I just know it was delicious) and talked with me some more, perplexed that I didn’t know why the reds weren’t in yet. He offered to take me into the field when they are ripe so I can shoot some pictures there. Because you don’t just want the shots here in the bin, do you? Of course not, Bill. You get it, Bill. 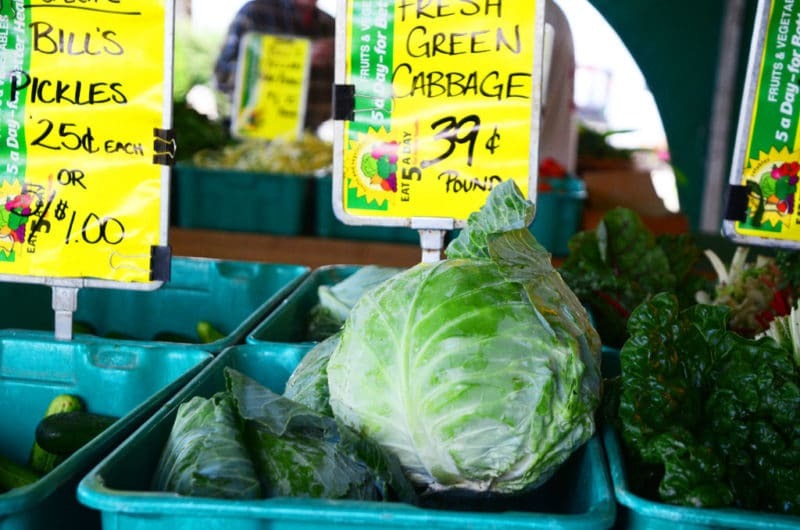 At a place like Bill’s, though, all a girl has to do when what she wants isn’t available is turn her head, and there she sees cabbages, floppy heads looking like Laura Ingalls in her bonnet. Cabbage is so coy and pretty that I like to keep the little pets in my life in more ways than one: the choux in my favorite pate au choux, or cream puffs, is French for “little cabbage” because someone, somewhere deep in the heart of French pastry history thought that cream puffs look like, well, little cabbages. Then there is the set of dishes in Chicago that my sister can probably claim squatter’s rights to, but that in fact I picked out for my mom years ago. Mom re-gifted the china to her happy daughters, and we both love the white-on-white cabbage leaf design. Peg told me one of the teacups went crashing to its death this past weekend, but in her usual style, she ordered a new one immediately on replacements.com. Gotta keep the china family together. 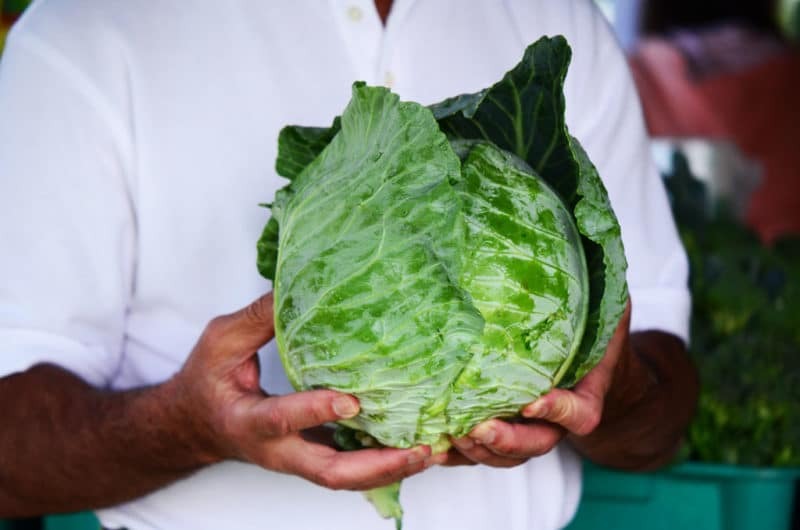 When I saw the cabbages at Bill’s, I knew exactly what we would do with those beauties, a Lebanese dish I’ve wanted to make with you for some time. Come September, it’ll be a red bell pepper extravaganza, but no rush to get there, no rush at all…. 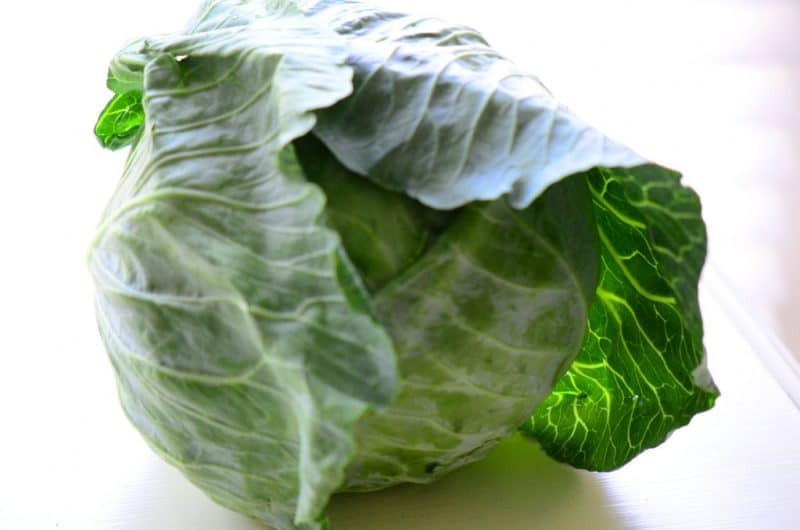 4 Responses to "Ingredient: Cabbage"
Wow…just made stuffed Koosa, and now my mouth is watering for stuffed Cabbage. That head of cabbage is beautiful. And, the Pate au Choux history…..I have made Pate au Choux many times, however I never knew the french name for “little cabbage” was Choux. Thanks for the history lesson. Pond Hill has Koosa, and you can pick your own (since they don’t know the exact size a Lebanese person needs). I am still bringing you nana, before it starts to seed. 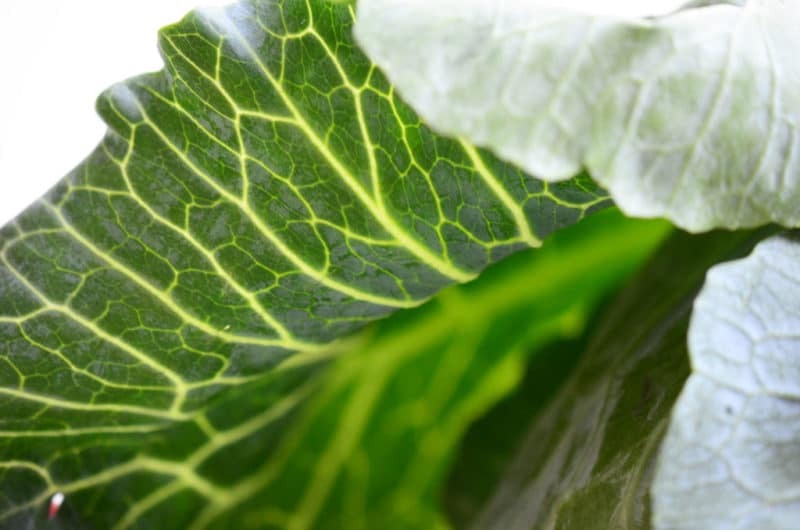 “How beautiful the cabbages are!” –Selina Peake exclaimed, in Edna Ferber’s “So Big.” I recall that line vividly from my first reading of the book in freshman year of high school. The man Selina worked for mocked her, “Hmph! Cabbages is beautiful?” He must never have gone to Bill’s Farm Market.